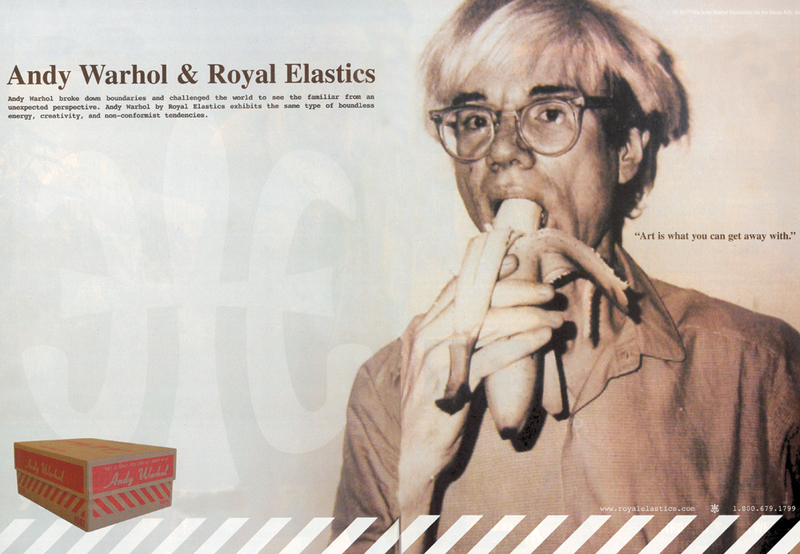 We're not really sure what Royal Elastics is trying to say in its current Andy Warhol print series. We know it's for their Warhol line of shoes. But what's with the banana? Bananas, shoes, bananas, shoes, elastics. There's a shaft joke just waiting to be made here but we can't do it without feeling inappropriately grimy after reviewing Match.com's chaste new ad approach.